The National Institute for Occupational Safety and Health (NIOSH) issued a graphic guide earlier this month about what kind of beards and 'staches are compatible with respirators — a vital piece of PPE that must fit correctly to do its job. With the end of the month in sight, Movember, a month-long event where men grow out their facial hair to spark conversations, garner donations and raise awareness about men's health, is coming to a close. But for those participating, one key question remains as Dec. 1 looms: to shave, or not to shave? Depending on the type of industry you're in, safety might have a say in this decision. The National Institute for Occupational Safety and Health (NIOSH) issued a graphic guide earlier this month about what kind of beards and 'staches are compatible with respirators — a vital piece of PPE that must fit correctly to do its job. While NIOSH says some workers may be able to use a loose-fitting, powered air-purifying respirator (PAPR), which will work with certain facial hairstyles, these respirators may not be best for all types of industries. The agency said it is vital that workers perform a fit check every time they use a respirator to ensure it is being used correctly, regardless of type or facial hair status. 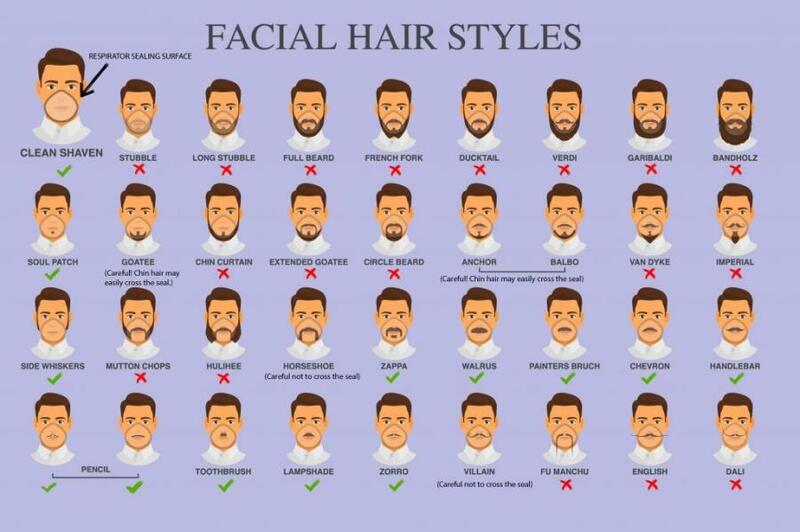 So, no matter what form your Movember-inspired facial hair has taken this month, if you plan to make it a permanent fixture, don't forget safety comes first. There's still time to participate in Movember! Show your support with other construction industry members here.